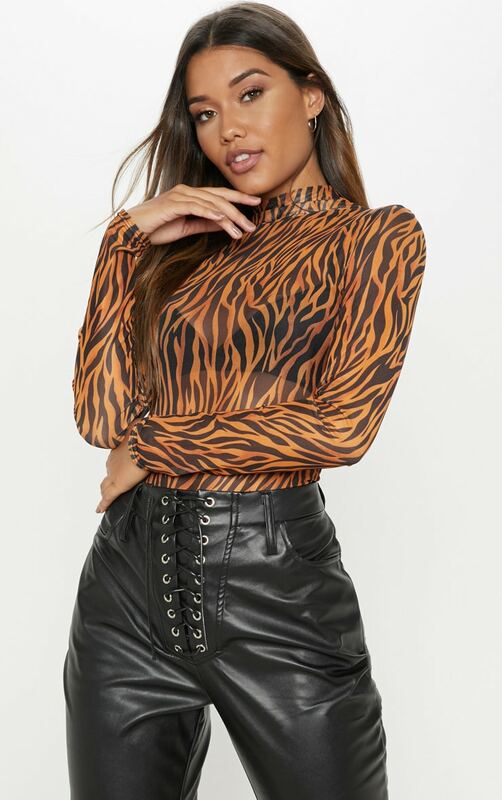 Give your wardrobe an update with this tiger print top. 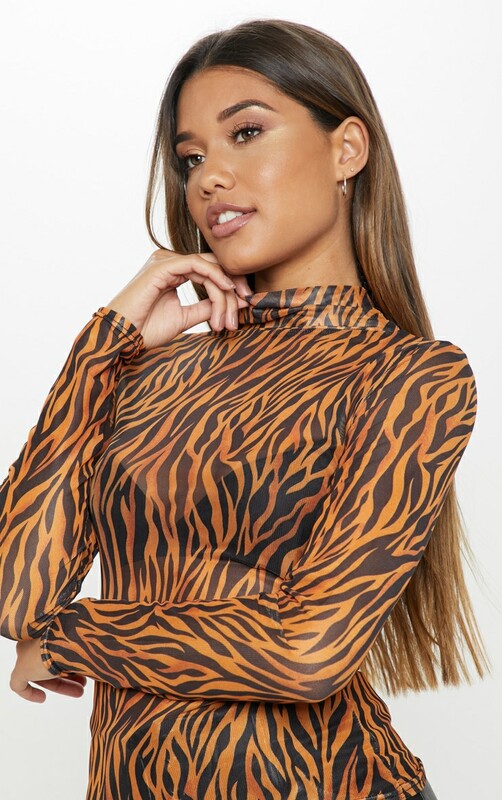 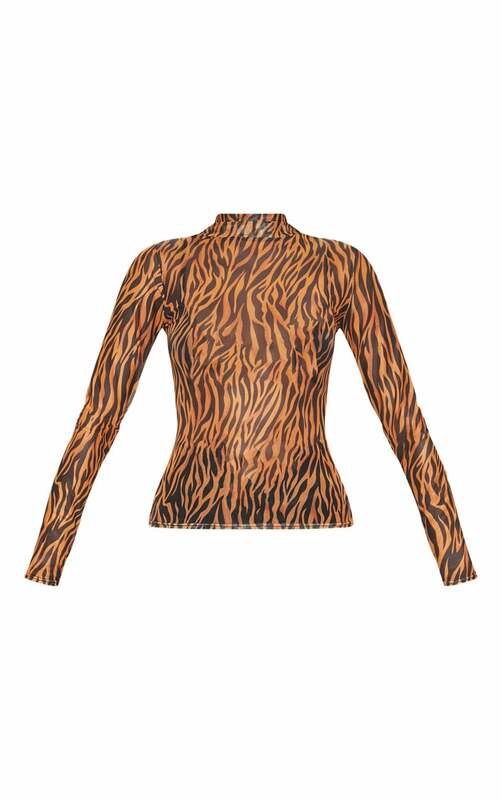 Featuring an orange tiger mesh printed material, a high neckline with long sleeves and a figure hugging fit. 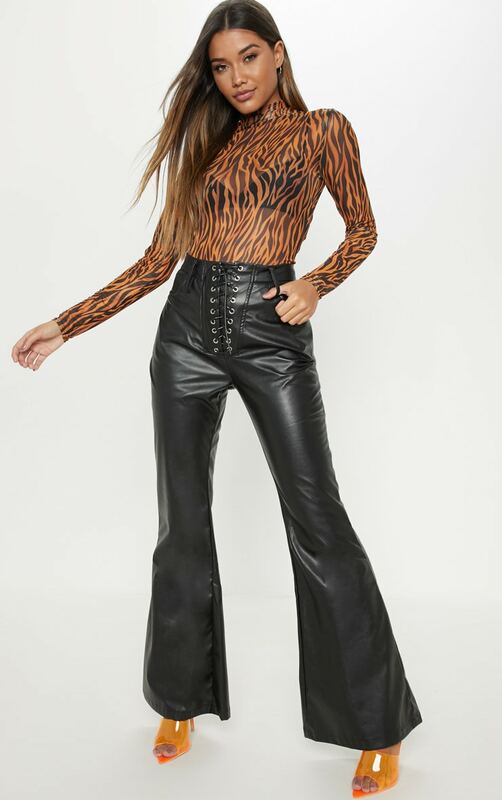 Team it with some leather trousers and heels for a look we're loving.